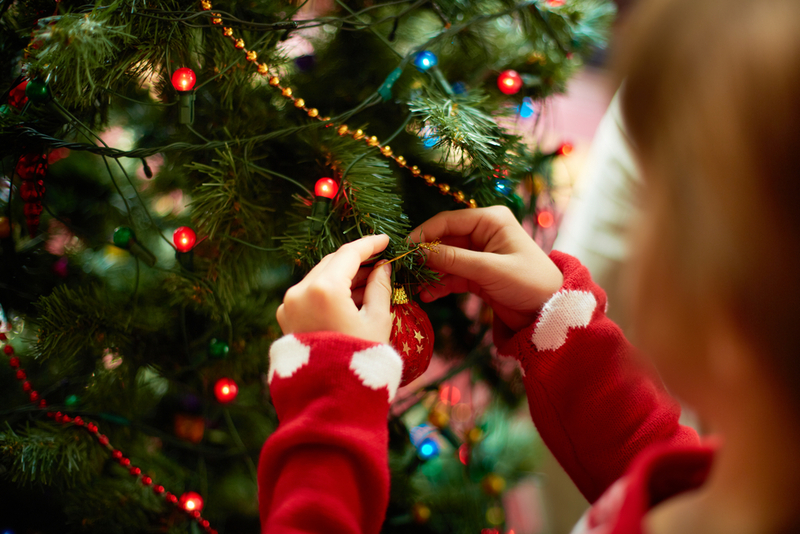 The holiday season is a time when families build lifelong memories through traditions. Some have been passed on through generations and some are added each year. These traditions help you bond and reconnect with loved ones, friends and neighbors. Here at Uniform Advantage offices are decorated, the halls are decked out and it seems like every day someone in some department is bringing in holiday “goodies” to share. The Company treats us to a wonderful Holiday Luncheon and there’s a “Secret Santa” to participate in. We truly feel like a “family” here. Tamara: On Christmas night my family and I do karaoke and games like Wii and board games. We really look forward to that part of the night. Johnnie: My family normally eats 3 sit down meals on Christmas Day. The tradition comes into play as 3 different households each year are assigned (or can volunteer) for the task of preparing either breakfast, lunch or dinner for the entire family. It has become one of the most anticipated holiday things we’ve grown to love and enjoy. Alyssa: Even though we’re all Jewish in my family, we still appreciate the beauty of Christmas lights. So, every year we tune the radio to the Christmas station and all six of us drive around looking at the lights and walking around those big houses with the crazy, amazing light displays. We also ALWAYS make latkes and rugelach. And, of course, we light the menorah and exchange gifts. We wrap milk bones for dogs each of the eight nights as they have come to associate candles with presents. Athena: In Greek culture, every New Year’s Day we bake a Tiropita. This is basically a filo dough pie that is large and flat like a pizza. We cut it into slices and each family member gets one slice. There is a quarter baked into the pie but no one knows where it is. So as each person get their slice, we inspect them before eating to find the quarter. The person with the quarter is known as the lucky one for that year in the family. Then we eat! Melody: Some of my favorite traditions include watching “National Lampoon’s Christmas Vacation” and “Love Actually,” having a big meal with family and opening one gift on Christmas Eve night. Karen: I love baking and making candy to give as gifts and share with family and friends. I have made the same pumpkin bread recipe for 45 years. Christmas CDs go on in my car Thanksgiving weekend. We watch as many Christmas movies and specials as we can with our Grandson. And we love to see what his “Elf on the Shelf” will do. Our newest family tradition is to take our grandson to pick a name from the “Angel Tree” at the mall and shop for the gift being asked for. Ayanna: Decorating the tree the day after Thanksgiving and opening one present on Christmas Eve. Robin: My family ALWAYS puts on the TBS marathon of “A Christmas Story.” It’s always playing in the background while we cook, eat, wrap presents, etc. My family can pretty much quote the entire movie. Another tradition my family has is having an Italian Christmas. With Thanksgiving only a month before Christmas, we have turkeyed ourselves out. As a big, loud Italian family, we adopted celebrating with tones of Italian dishes. I’m thinking of making cannoli from scratch this year. Anonymous: I love giving “secret” gifts. ← Introducing our UA FAN-tastic Holiday Contest: A Month of Mystery! !